As we’re sliding into 2018, it’s safe to say AI-powered machines can do just about anything. They can detect breast cancer. Paint a new Rembrandt. Even tell us if there’s fresh coffee in the kitchen. Other attempts were more successful, however. Last year, as part of a marketing campaign, Nutella used an AI-powered algorithm to design seven million labels for their product. Some of the colorful designs showed polka dots, others featured zigzag lines, yet each design was one-of-kind. The “Nutella Unica” jars, which were only available in Italy, sold out within one month. Should designers and artists be worried about these algorithms coughing up ready-made designs? Maybe a little, says Dutch robotic engineer and artist Edwin Dertien who works at the University of Twente. Last year, together with Janwillem te Voortwis, he built DrawBot, a huge painting robot that can reproduce existing images on large canvases. But what about AI-tools that can generate beautiful designs of their own? Apps like Prisma, which turns your family pictures into actual Picasso paintings and Van Gogh landscapes, using an algorithm to mimic their style? As amazing as those apps are, says Dertien, there are still programmers who built those algorithms. In other words, machines themselves don’t make art, nor do they want to — there’s no spark, no passion that inspires them. “So I’m not worried that our future museums will be filled with robot-made art,” he concludes. Moscow-based UX-designer Yury Vetrov, who runs the blog Algorithm-Driven Design and organizes some of the biggest design conferences in Russia, used to be a skeptic as well. “Like many designers, I was afraid robots would steal my job.” That all changed when he started experimenting with AI-tools in 2012. Not only did he soon learn technology doesn’t offer an all-encompassing AI-solution for design, nor will this happen in the near future, he even started to see some benefits. AirBnB’s design team came up with a nifty tool that “brings testing time to zero.” Last year, the company built a machine learning platform that analyzes rough, hand-drawn sketches and translates them into actionable code. This way, designers save valuable time turning ideas into prototypes — leaving more time for other parts of the design process. Other startups are taking it even further, by eliminating the web designer altogether. Startup Grid.io, for instance, offers “Molly, your new AI web designer. She’s quirky, but will never ghost you, never charge more, never miss a deadline, never cower to your demands for a bigger logo.” Needless to say, the design community wasn’t welcoming Molly with open arms. “The first designs created by Grid.io are disappointing,” says Vetrov. Which, he says, came as a relief to the design community. Yet his own perspective on web designer robots did shift a little in the past year, after meeting with another London-based startup in the field: FireDrop. A few months ago, Adobe offered a sneak peek into SceneStich, a machine-learning tool that fills empty space in an image with plausible objects from a photo database. Suppose you’re editing a picture of a desert landscape and need to remove a few buildings in the background, the system might decide to add a few large boulders instead. Adobe recently launched another new AI-powered tool for the next edition of Photoshop: Select Subjects. The tool lets designers separate objects from their background with just one click. 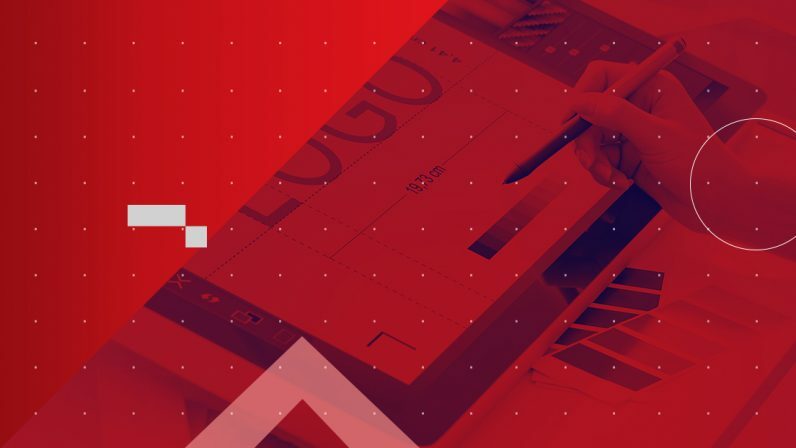 Using AI in design doesn’t just mean the work gets done faster or more efficiently, it also allows for more personalization. Imagine the algorithm used by Nutella didn’t just spit out unique designs, but would even customize them just for you — using a lot of green because it’s your favorite color, or adding a picture of your cat. An impossible scenario, because Nutella has no way of knowing who will buy which jar — nor do they secretly collect pictures of their customers’ cats. Netflix, however, does collect such personal data. This enables the company to automatically customize its movie posters to fit your personal preferences. Let’s say you’ve seen five movies starring Tom Cruise and Netflix will soon add another movie featuring the actor — yet not in a leading role. The design algorithm then may include his face on the artwork just to spike your interest. The movie posters can also be designed based on preferred genres. Someone who often watches romantic movies might select Good Will Hunting based on a visual of Matt Damon and Minnie Driver, while a comedy lover will be lured in with a poster showing Robin Williams. Netflix doesn’t just make assumptions, obviously, the platform runs extensive tests to compare different outcomes.